Q1. The MPC of India is a committee of the Reserve Bank of India that is responsible for fixing the benchmark interest rate in India. What is the meaning of "P" in MPC? The aim of this article is to promote the awareness about the United Nations (UN) historic ‘Paris Agreement on Climate Change (PACC)’ which entered into-force on 04th November 2016.
Credit Guarantee Fund Trust for Micro and Small Enterprises (CGTMSE), has established itself as an important institution in facilitating flow of collateral free credit to units in micro and small enterprise (MSE) sector in the last 17 years of its existence. Loan disbursed under MUDRA yojna is insured by CGTMSE. Q4. The Varishtha Pension Bima Yojana 2017, a pension scheme for senior citizens, was approved by the Union Cabinet. It provide an assured pension based on a guaranteed rate of return of 8 per cent for-? The Varishtha Pension Bima Yojana 2017, a pension scheme for senior citizens, was approved by the Union Cabinet. Varishtha Pension Bima Yojana 2017 will provide an assured pension based on a guaranteed rate of return of 8 per cent for 10 years. Q5. _____________ is a specific division of banking related to the creation of capital for other companies, governments and other entities. Investment banking is a specific division of banking related to the creation of capital for other companies, governments and other entities. Q6. 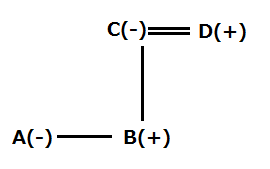 How is C related to A, in the given expression A – B + C × D? Q7. Which of the following statements is true if the given expression is true? Q8. What will come in place of question mark (?) 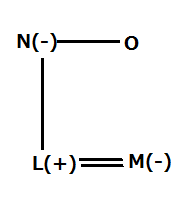 if it is given that V is mother-in-law of W in the following expression? Q9. In a row of students facing north, B is 18th from the left and third to the right of D, who is 15th from the right end. How many students are there in the row? Q10. How many such pairs of letters are there in the word DEFINITELY each of which has as many letters between them in the word as they have in the English alphabet? Q12. A driver’s income consists of his salary and tips. During one week, his tips were five-fourths of his salary. What fraction of his income came from tips? Q13. A sum of Rs 18750 is left by a father will be divided between two sons of 12 and 14 years of age, so that when they attain maturity at 18, the sum (principal + interest) received by each at 5 per cent simple interest will be the same. Find the sum allotted at present to each son. Q14. A bottle is full of dettol. One-third of it is taken out and then an equal amount of water is poured into the bottle to fill it. This operation is done four times. Find the final ratio of dettol and water in the bottle. Correct Choice is C.I can be ruled out as it goes tangent to the theme of the passage. III can be eliminated as clearly it can't be the closing statement. Rather II is the most appropriate choice. Q18. For nations to progress in the 21st century and become part of the fourth industrial revolution, they need to link their development policies to the central theme of establishing a strong knowledge-based economy. This requires diversion of national resources to education, science, technology and innovation (ESTI) ___________________________. Q19. Facebook has more active monthly users than China has people. It also has one of the most advanced facial recognition technologies, first deployed in 2010, and honed consistently since then. Now, the social media behemoth is offering its users security, through surveillance. It will notify people if their photographs are uploaded by a third party — even if they haven’t been “tagged” — and gives them the option to remove or report the picture. The new feature will undoubtedly help in preventing fake profiles and allow users greater control over how their image is used online. On the other hand, _____________________________. Correct Choice is D. I and II can be logically ruled out as it do give coherent meaning to the passage. (III) Its affiliated institutes will have to pull up their socks in order to ensuring the competitiveness of Indian industry. Correct choice is option A. II and III do not fit in continuation to the given paragraph. In III "Its affiliated institutes...." gives no coherent meaning to the sentence.